The Studio range of WC pans includes Concept cisterns which allows the designer to choose a style to complement the basin shapes in the Concept range, as well as other bathroom items. 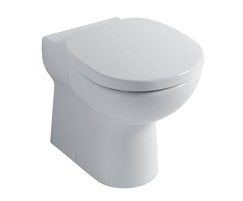 The Studio WC has a classic contemporary bowl shape and two cistern shapes. The Arc cistern is a perfect semi circle, the Cube a neat square cistern. Both are dual flush. 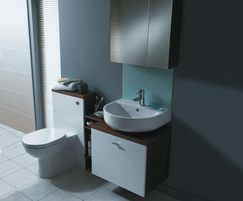 These complement the Arc and Cube basins from the Concept range. In addition to the back-to-wall model illustrated, close coupled and wall hung models are also available, all with the option of a slow close seat. 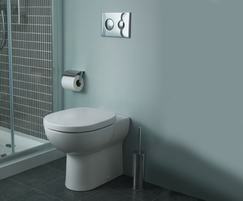 The iconic Studio bathroom range is designed by Robin Levien of Queensbury Hunt. Studio began with 15 pieces when it was introduced in 1986. The range is still as popular today as when it first launched with more than 10 million items sold. It is believed to be the worlds best selling bathroom range.